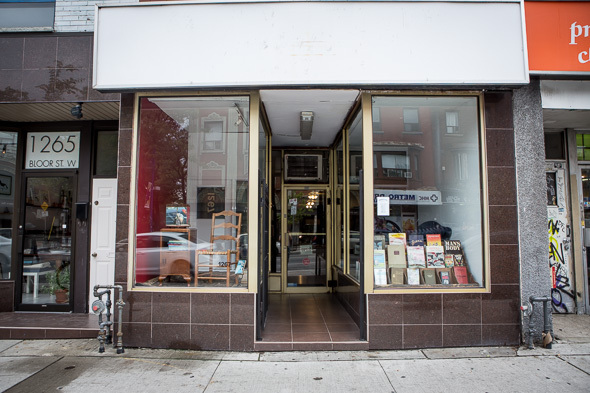 Note: Monkey's Paw has moved from 1267 Bloor W to 1067 Bloor W. The photos and information in this article are of the old location. 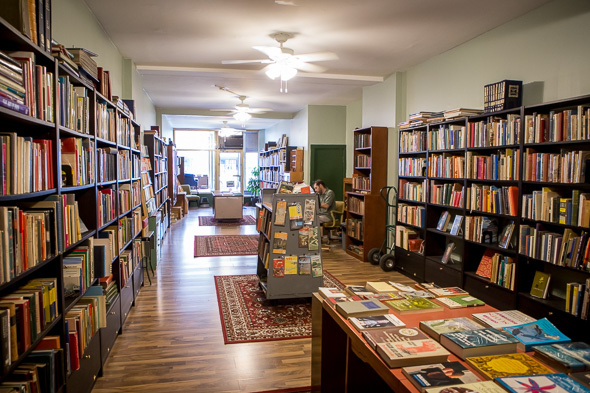 Monkey's Paw is a unique and beloved bookshop on Bloor West. Monkey's Paw doesn't sell traditional literature, and no, that doesn't mean zines, indie journals, or anything new at all. Owner Stephen Fowler stocks curios from the past that look and feel magically vintage and contain unexpected wisdom, beauty and hilarity. The name Monkey's Paw is derived from an old story (yes, it was a written story in 1902 before it was ever the basis for a Simpson's episode). The magical wish-granting monkey's paw is a metaphor for that classic adage "be careful what you wish for." 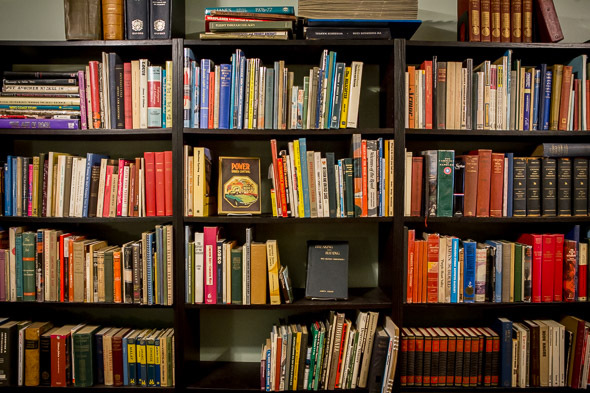 This in turn conceptualizes a book lover's hunt through the store. This location is a lot bigger and easier to get around than the last shop on Dundas. Shimmying to get a book or trying to get to a specific section, you'd wind up smushed up against another patron. The lower shelves of bookcases have been cleverly modified into storage, so nothing is too low. You might stumble upon a series of "The Observer's Guide" to anything from horses and ponies to unmanned spacecraft. 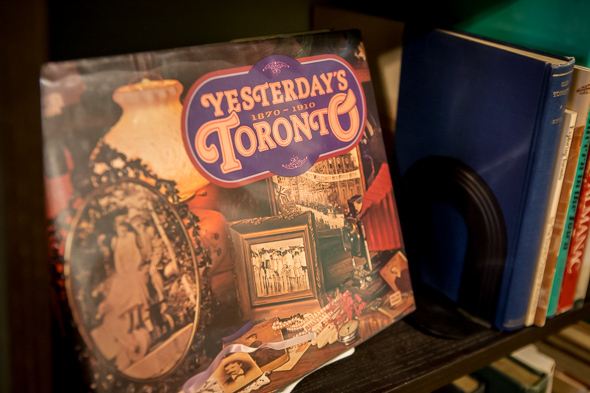 They have lots of cool old photo books that are specifically about Toronto, and pamphlets that might be simply entitled "Province of Ontario," old maps, and bugs and bats encased in glass. There are some cute little poetry books floating around, too. The biggest draw is the unique "Biblio-Mat" housed inside the Monkey's Paw. Fowler says at least one customer per day comes in just for this wacky homemade machine, and tourists come from far and wide to see it. The mechanical aspect makes it a big hit with the kids, spitting out a random used vintage book for just a toonie. If you're into design or interior design, or even just good vintage retail set up beautifully, you'll appreciate wandering around here just as much as a bookworm. 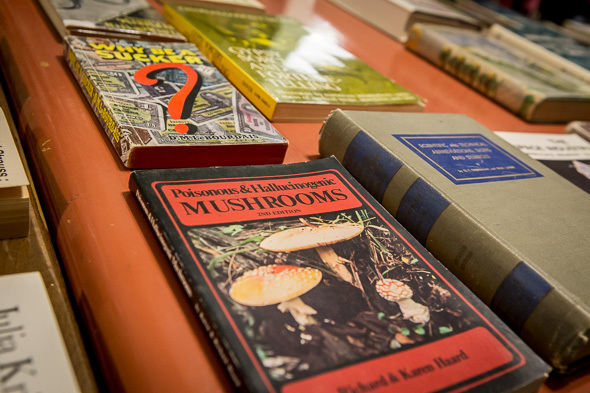 Fowler puts intense care into his displays, organizing them by theme occasionally and highlighting books that have particularly interesting covers or titles, or are just about a wacky subject. 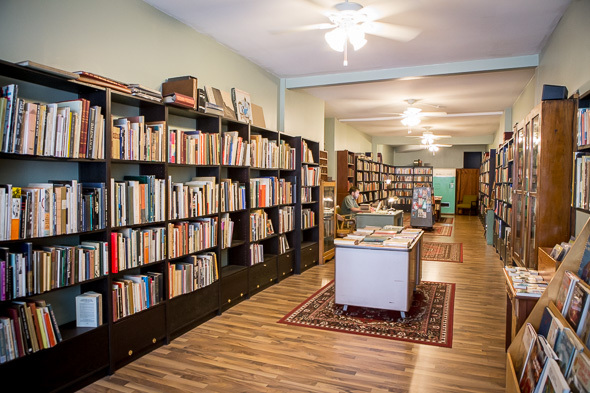 The store is organized roughly by section, art and design bleeding into history, melting into poetry, philosophy and other countless kinds of nonfiction. You want it, Stephen Fowler has got it. This is the main asset of the store: he'll discuss the weirdest books with you, whether you're looking for something to fill a space on your coffee table or a gap in your knowledge. As you walk along Bloor, the locally famous eccentric window displays might catch your eye, the name Monkey's Paw hidden in a little optical illusion in a tiny mirror, books with weird titles beckoning you inside.